Iridology (also known as iridodiagnosis or iridiagnosis) is an alternative medical technique with which practitioners use patterns, colors, and other characteristics of the iris to determine information about a patient’s health. Practitioners match their observations to iris charts, which divide the iris into zones that correspond to specific parts of the human body. 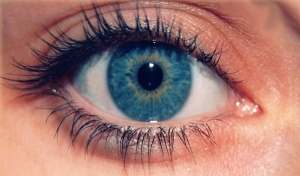 Iridologists see the eyes as “windows” into the body’s state of health. Iridologists use the charts to distinguish between healthy systems and organs in the body and those that are overactive, inflamed, or distressed. Iridologists believe that this information can demonstrate a patient’s susceptibility towards certain illnesses, reflects past medical problems, or predicts later health problems.Doctors from all over the world developed the maps of the iris over the last 200 years.